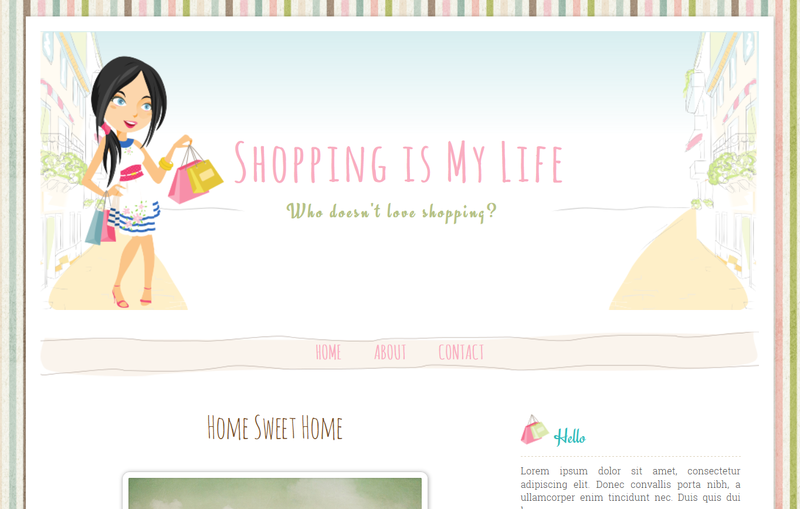 Special for you girls, another free premium cute blogspot template. Dear shoppaholic, this is the perfect template for your shopping blog. Share your shopping tips, shopping experience, product review, or anything about you and your personal story. You also can use this as online shop template, but sorry no gallery or shopping cart feature here. Cute girl in front of store hold her shopping bag represent your shopping interest. Two columns layout with soft pastel color and stripe background, all in one is free for you. Please preview this cute blogger template HERE and download XML file HERE. How to install this template? Please read link above. Kalau mau membuat footernya jadi 3 kolom bagaimana caranya mbak? Saya baru pertama kali ingin mencuba template ini. Makasih ya!